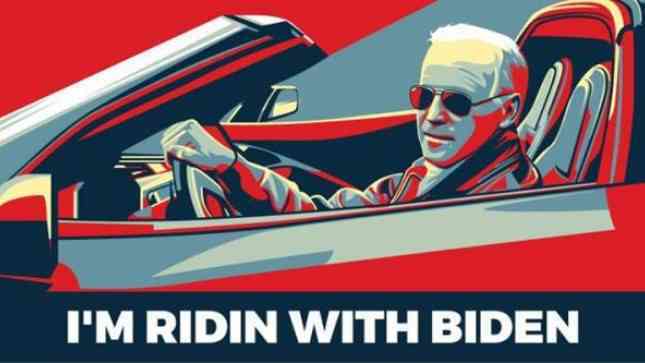 The Washington Post’s Phil Rucker reported Friday that the Draft Biden team distributed “I’m ridin’ with Biden” chocolate bars during the DNC summer meeting at the Hilton Minneapolis, according to The Wall Street Journal. The pro-Biden chocolates feature an image of the vice president wearing sunglasses and sitting behind the wheel of a sports car. It looks like the image was taken from his hilarious romp with Veep star Julia Louis-Dreyfus in a special video produced for the 2014 White House Correspondents Dinner. Over 1.8 million people have watched the video on YouTube. Future voters? Ellen Tauscher, former Undersecretary of State for Arms Control and International Security Affairs and former Congresswoman from California, defended how Hillary Clinton has handled questions about emails in an interview with Shannon Bream on Fox News Sunday. 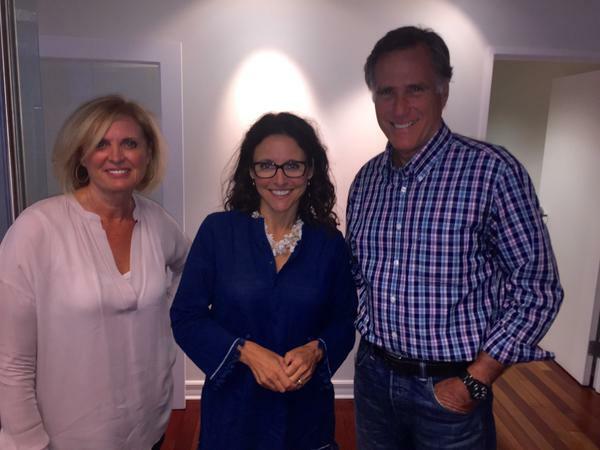 Former Republican presidential candidate, Mitt Romney, stopped by the “campaign headquarters” of President Selina Meyer (played by Julia Louis-Dreyfus) of HBO’s hit comedy series, Veep. The meeting was followed up by a Twitter exchange between the former and “current” candidate.
.@MittRomney @AnnDRomney We were thrilled to have you guys drop by our campaign headquarters!! 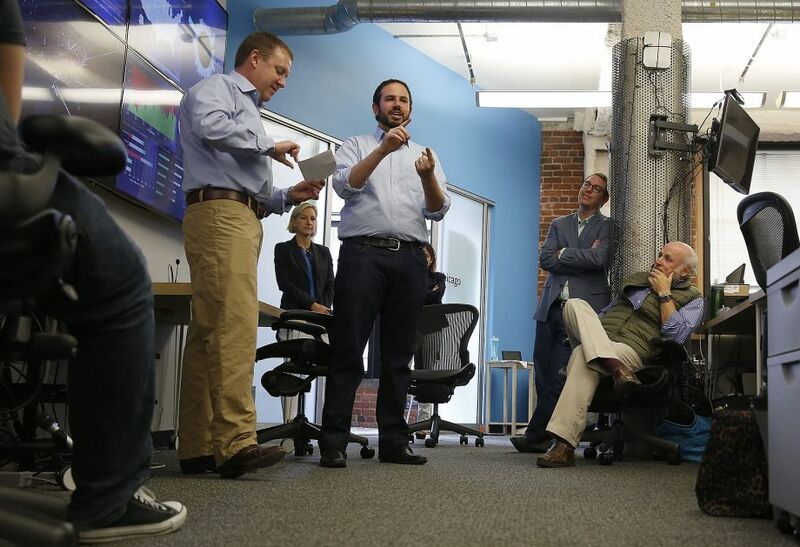 Franco Nuschese, owner of Cafe Milano along with More’s Betsy Fischer Martin, gathered political media for an on-the-record briefing by Alex Castellanos and Zignal Labs’ Josh Ginsberg. Both campaign veterans addressed the Trump Tsunami and assessed the opportunities for each party as the election rolls into September. Discussion focused on two main themes: “the echo effect” within social media and rebranding conservatism in America. Media in attendance included Jonathan Martin of The New York Times, Politico’s Ken Vogel, National Journal’s Ron Fournier, CNN’s Polson Kanneth, Matt Viser of the Boston Globe, Yahoo’s Garance Franke-Ruta, Chris Isham of CBS News, Jennifer Maguire of Tribeca/Pipeline, Lisa Desjardins of PBS Newshour, WSJ’s Jeanne Cummings, Anthony Salvanto of CBS News Surveys, and John Coale. 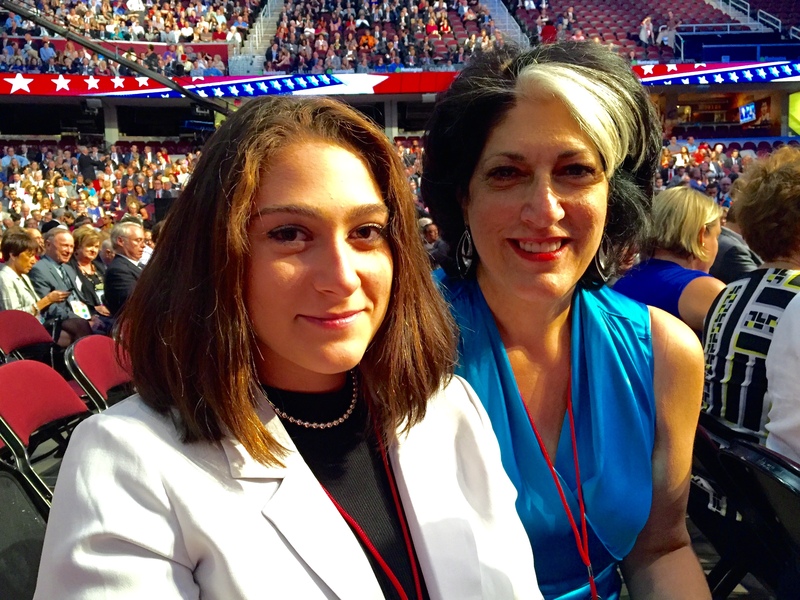 “The most exciting thing about covering politics is that it unfolds in front of you, you never know what could happen.” My mother’s voice carried through the crisp Cleveland morning, bouncing off the grey walls of Quicken Loans Arena, or “The Q”. I nodded, shrugging it off in all my teenage glory. While mom can’t help me with my trigonometry, she really does know quite a bit about the campaign trail. 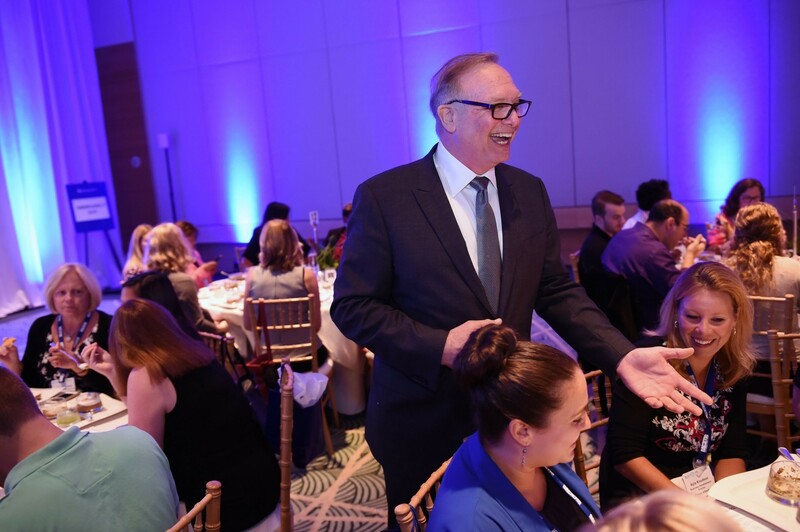 Upon entering the hall, it was impossible not to absorb the dynamic energy exuded by the audience. I never would have expected such vibrancy from the endless sea of suits. The moderators were seated, turning to face the crowd. They introduced themselves as if there were no stage, no debate, or even an audience; I realized they were talking to the TV cameras. The astounding cheer after FOX’s Megyn Kelly finished her greeting was a sign of what was yet to come in the first GOP Debate of the 2016 Election. Donald Trump provided a much needed contrast, even though his presence was disruptive to the serious and staged nature of the event. He has become the symbol of the distress and delusion of the American people, desperate for a new direction. America needs big changes, and Donald Trump is a living hyperbole. 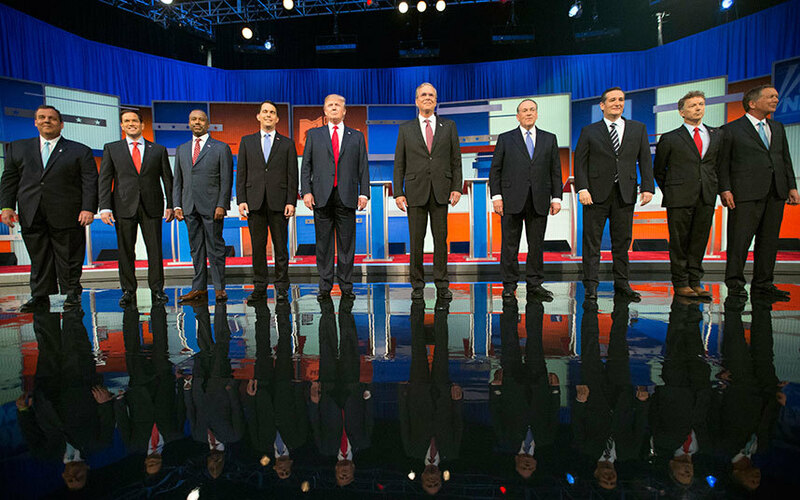 Mr. Trump and his debate theatrics highlight the need for a pragmatic leader. Standing a few podiums away from Mr. Trump was Senator Marco Rubio, whose velveteen voice and eloquence made him seem all the more presidential. Former Governor Jeb Bush was criticized for being slightly shaky and seemed all knowing in comparison to Donald Trump. Mr. Trump provided this service to other candidates as well, making Governor Chris Christie seem more intellectual, and Dr. Ben Carson seem more qualified, securing the aura of what an experienced politician should be. This debate was the unfolding of my own political views, the unfolding of my journalistic aspirations, and what the campaign trail is really like. This debate was also an introduction to both the Republican Party and election politics as a whole. The phenomenon of petty political parties resided in my mind for many years, flirting with stereotypes and labeled as the price of Democracy. This image has been torn to pieces by the riveting reality of the way this great nation chooses its leaders. And while I may be spending the majority of the road to 2016 in a classroom, one thing stands true, this election season will unfold before the American people with unprecedented vigor, and anything could happen. Just like my mother said. 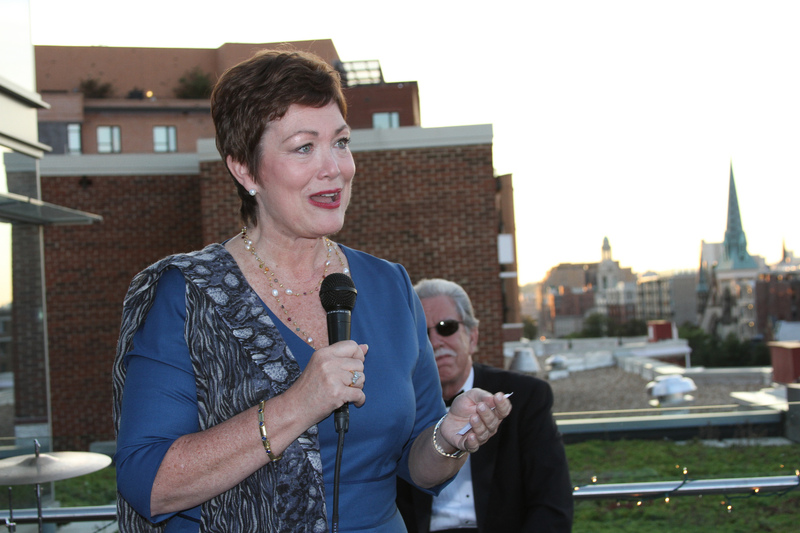 Follow Volta Insider on Twitter @VOLTAINSIDER. Volta Insider is Rachel Greenberg’s podcast, which creates a web of intriguing interviews on the ever-changing realms of art, innovation, and politics.